I recently shared about my decision to leave one PhD program for another. On my road which lead to taking up studies at the University of Edinburgh, I pulled over from time to time to reflect on significant questions surrounding the relationship between the Church, the Academy, and my own sense of ‘calling’. I’ve learned that many scholars and ministers have reflected on the same questions in early stages of their careers, and in fact, continue to believe answering these questions is an important task. Though I’ve come to some tentative conclusions about these matters, I wanted to run some representative questions by a handful of scholars, pastors, or “scholar-pastors.” I’ve already benefited greatly from the answers I’ve received, and I trust that many of you will, as well. I’m sure you’ll recognize many of the names, though it would be a fine thing if I introduce a few of them to a few of you. 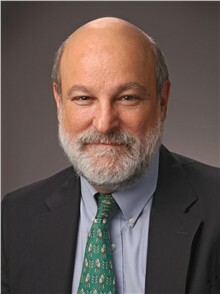 Today’s interview is with Darrell Bock, Research Professor of New Testament Studies at Dallas Theological Seminary. He earned his B.A. from theUniversity of Texas, 1975, his Th.M. from Dallas Theological Seminary, 1979, his Ph.D. from the University of Aberdeen, 1983, and he’s done postdoctoral study at Tübingen University. I first came to know of Bock’s work when I studied under a couple of professors who had themselves been at DTS in the ’90s. His work in Luke-Acts, Historical Jesus studies, and Jewish backgrounds have also been part of my own reading (My thesis deals with Luke and Acts). Bock also has a blog over at bible.org. Thanks, Darrell, for taking some time to answer these important questions. Since I work in the New Testament and especially the gospels, there is a close relationship between what I teach at Seminary and what I speak on in the local church. This involves not only the work in the gospels, but some apologetics work dealing with the more radical things people hear on TV or read in books. I was encouraged to do academic work while in Seminary. It interested me and I had professors who said I could do it. I have worked in the areas I have felt led to focus on. All choices were reinforced as I went along. My role has been to seek to do my studies and seek to serve the church. Those who work in academics need to be better communicators to lay people and the church needs to encourage being serious about study of Scripture beyond personal needs. Behind that stands how we approach Scripture and what we think about what it teaches. Josh, I really appreciate you providing access to these interviews. I am sure they were helpful in the Lord’s direction for you to take up the task in Scotland. I think Bock’s final comment should be heralded, underlined, and put in bold. I would add, if that is possible, that scholars and pastors need to do all they can to stay put in one place for a long period of time so that they can solidify the bridge between the academy and the church in the actual sphere of relationships in which they live. Bock is a veritable example of this, as a scholar at least (I do not know him personally to know his church affiliation). I do know pastoral work, though (12 years in the same church), and I know that implementing Bock’s strategy for the church to study the Scriptures beyond the felt need of the moment requires pastoral leadership that works consistently year after year to teach beyond the felt need of the moment. Perhaps some of the reason that churches don’t get very far with the Bible is that pastors are in and out with new strategies and methods every few years, often distracting from the real source of edification in the church: consistent engagement with the Scriptures. Todd, well said. I couldn’t agree more.